Do you suffer from joint pain? Perhaps it’s a symptom of arthritis or just a result of aging or misuse, the impacts of joint problems are pervasive. There are drugs available on the market to treat osteoarthritis. However, on top of what you are prescribed, dietary management is always an addition that you should consider. 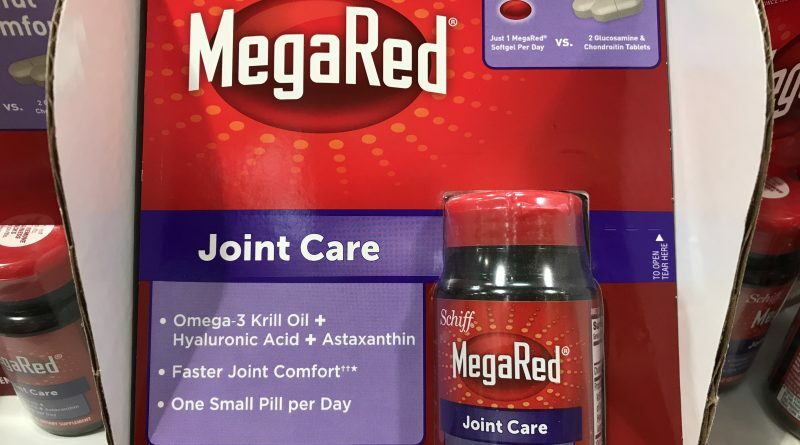 The MegaRed Joint Care is dietary supplement with a proprietary blend of krill oil and astaxanthin. The latter is a cancer-protective compound naturally found in fruits and sea food. It also helps with stiffness especially when it comes to joints. Another compound in the supplement blend is hyaluronic acid. This is actually produced naturally in the body and lubricates joints, permitting smoother movement around the joints. 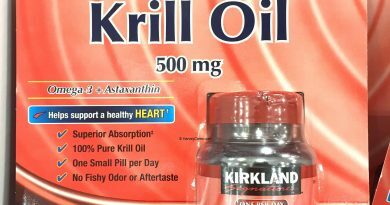 Krill oil also promotes a healthy heart and has many dietary benefits. Provides faster joint support than traditional joint care supplements. Also contains astaxanthin and hyaluronic acid. Compare to glucosamine and chondroitin supplements. Each easy to swallow red softgel contains about 1% daily value of cholesterol. Likely due to the krill oil ingredient. 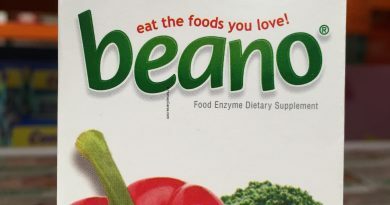 Besides the proprietary blend, other ingredients include food coloring, olive oil, and rosemary extract. 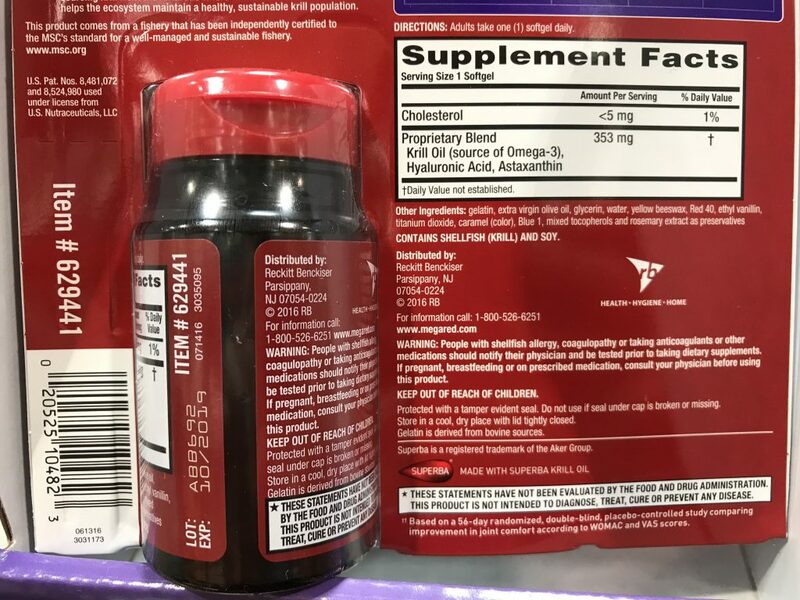 The complete supplement facts are in the product panel image below. These days, fish oil is very popular and in high demand. You see fish oil supplements everywhere. Consequently, consumer demand for the best wild fish in the most concentrated form available means natural resource depletion. It’s no secret that the world’s oceans are facing a huge strain. Fortunately, with Schiff’s MegaRed, you don’t have to worry. Krill are tiny shrimp-looking crustaceans. They are typically only about two inches long and make up the bottom of the food chain. They are especially abundant in the Antarctic, where a MSC certified fishery sources them. Furthermore, Krill oil provides a potent source of Omega-3. It is also lower in cholesterol when you compare it to other fish oil products. Glucosamine sulfate is a natural compound that makes up cartilage. This is the tissue that cushions your joints, including ankles and elbows. On the other hand, your connective tissues, including cartilage around joints, contain a substance called chondroitin. Together, those with osteoarthritis, arthritis, or joint pain symptoms often use these two chemicals as dietary management. The effectiveness of glucosamine and chondroitin supplements, however, are inconclusive. Even more so, their tablets are reportedly quite big and hard to swallow. MegaRed softgels are small and much easier to swallow. 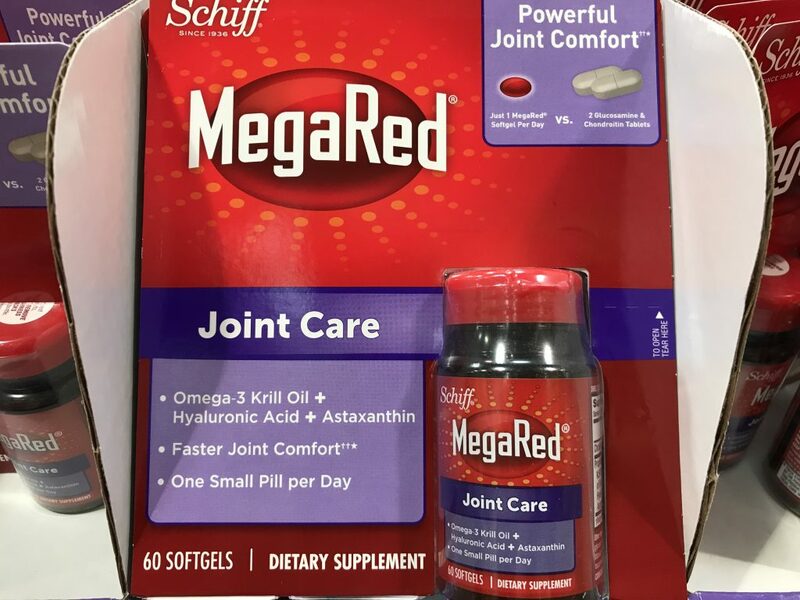 Folks have also reported that Schiff’s MegaRed proprietary blend comfort joints better and faster. Hyaluronic acid and Astaxanthin, mixed with krill oil, is a potent combination. 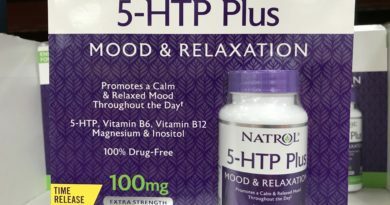 Overall, this product should offer you faster comfort and joint protection than other dietary supplements on the market. 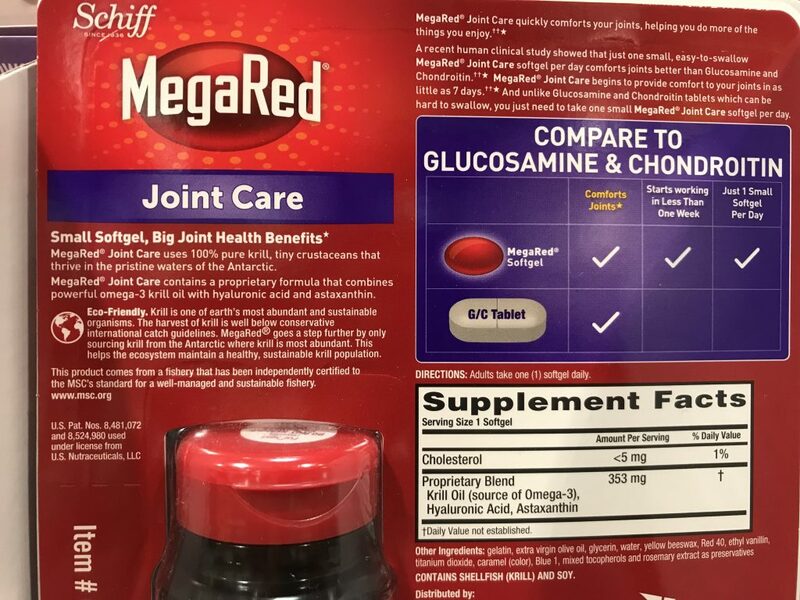 Looking to Purchase MegaRed Joint Care? Currently, most Costco warehouses have this product in stock. Based on my research, Amazon has this item in stock at the best price with shipping included. Do you have osteoarthritis symptoms? How do you manage your symptoms through diet?